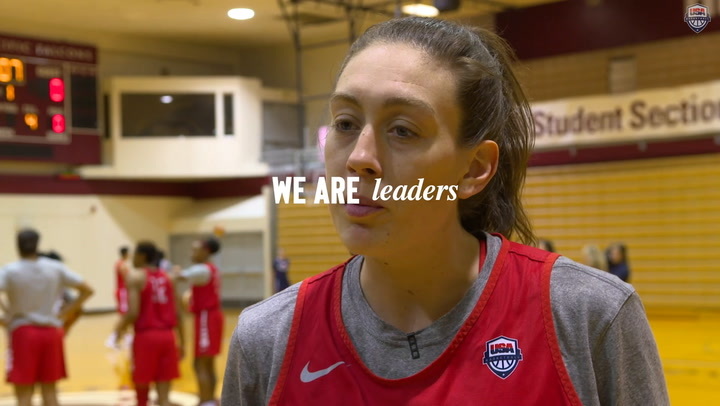 The 2014 USA Basketball Women’s National Team (3-0) took a double-digit lead six minutes into the first quarter and pulled away from China (2-0) for an overwhelming 51-24 halftime advantage before easing up in the second half for a 99-75 victory. The game, played on Saturday afternoon at Pierre de Courbetin Stadium in Paris, France, is part of the France International Tournament, which will see France (1-0) take on Australia (0-1) in the day’s second game. Never trailing, the U.S. women jumped to a 6-0 lead in the first two minutes of the contest as China missed its first five attempts. Finally getting one to go in, China swapped buckets with the USA and with 4:27 left in the quarter, the USA held a 14-8 advantage. The score would never again get closer. 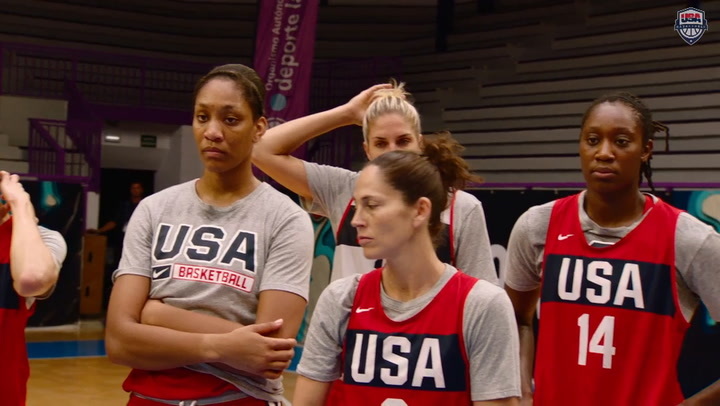 Diana Taurasi (Phoenix Mercury), who scored all nine of her points in the first quarter, nailed a pair of free throws, Charles recorded a three-point play and the USA was off and running. Those five points kicked-off a 13-2 spurt that closed the stanza with the red, white and blue on top 27-10. “I thought we played better than we did yesterday,” said USA coach Geno Auriemma (University of Connecticut). “Our offense, we got into some transition stuff. We made shots, which we didn’t do yesterday at the beginning of the game. We had a really good flow. We got contributions from a lot of people. I thought that first half was about as well as we’ve played. “And then the second half, we are trying to get as many people in as we can, which I think disrupted a little bit of the flow. And China made every shot in the second half – God bless them. All the shots they missed in the first half, they made every one in the second. So, it was good for us to be in that situation where it forced us to score every time down the court, because we couldn’t stop them. In addition to Ogwumike, Jantel Lavender (Los Angeles Sparks) finished with 14 points, and Seimone Augustus (Minnesota Lynx) and Tina Charles (New York Liberty) were the only other USA players in double digits with 10 points apiece. Odyssey Sims (Tulsa Shock) and Lindsay Whalen (Minnesota Lynx) dished out five assists, each and Augustus added four steals. China scored the first two baskets of the second quarter, but a 15-2 run took the wind out of China’s sails, and put the Americans well in control of the game, 42-16. 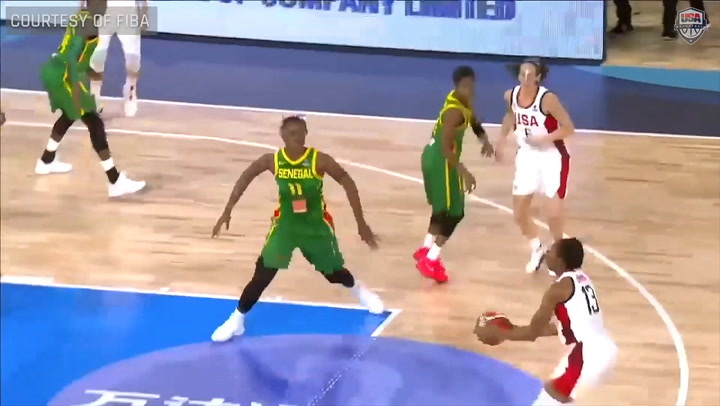 By the time the halftime buzzer sounded, the USA led 51-24. In the first half alone, the USA hit 51.2 percent (21-41 FGs) of its shots from the field, while limiting China to 32.3 percent (10-31 FGs). The U.S. overpowered China on the glass 22-13, outscored China 28-16 in the paint and 24-14 off the bench. China, which missed all five of its 3-point attempts in the first half, came out of the locker room on fire. The Asian side netted 9-of-15 from the field, including 4-of-5 from afar, which helped the team from Asia outscore the USA 28-18 in the third. China’s onslaught in the third quarter was too little too late as the Americans regrouped defensively and outscored China 30-23 in the fourth quarter for the eventual 99-75 victory. The U.S. closed the night shooting 53.2 percent (42-79 FGs) from the field, while China in the second half improved its overall shooting to 47.5 percent (28-59 FGs) on the night. The Americans outrebounded China 41-29, dished out 27 assists, and had 14 steals and six blocked shots. The U.S. also dominated in the paint, outscoring China 56-28, while holding a 25-2 advantage on second-chance points and 22-14 in points off turnovers. The 2014 USA World Championship Team will wrap up the 2014 France International Tournament against host France, silver medalist at the 2012 Olympics, on Sept. 21 (11 a.m. EDT). From there, the Americans will head to Prague, Czech Republic, for an exhibition against Czech Republic on Sept. 23 (1 p.m. EDT) at Tipsport Arena, before traveling to Istanbul for their final pre-World Championship preparations. STAT NOTES: Jantel Lavender shot a perfect 7-of-7 from the field; the USA team was nearly perfect at the line, hitting 13-of-14 free throws; every U.S. athlete played between 9-17 minutes.